Friday 9am to 5.30 pm. Fixed fee packages are available in cases we assess as suitable, meaning you are not charged by time but upon a pre agreed fee. The initial meeting is no obligation. Specialism of the accredited solicitor is attributed by both the Law Society and Resolution in respect of child arrangements and complex financial issues in divorce. Please visit our website for details of all available family law services. For existing clients we are flexible upon appointment times and locations, including early and late appointments to meet your needs. Free parking is available on site and secure. All meetings and work is conducted in confidence. The firm is Lexcel accredited. 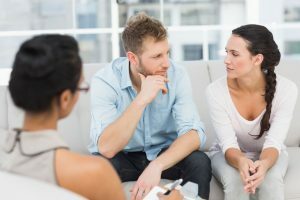 We offer collaborative law as a method of settling disputes without a judgment in Court upon a costly ( in money and emotional energy) dispute. See the Resolution web site for further details. This article was added on Wednesday, March 23rd, 2016 at 11:07 am and is categorised under Cheshire News, Chester News, Child arrangements, cohabitation disputes, collaborative law, Divorce, divorce finances, Family finances, Family Law, General News, Macclesfield News, northwich solicitors, prenups, Runcorn News, St Helens news, Warrington News, Widnes News, Winsford News. Both comments and pings are currently closed. Error: Error validating access token: Session has expired on Saturday, 09-Mar-19 13:12:58 PST. The current time is Thursday, 25-Apr-19 05:55:17 PDT.